Vineyards over Zell an der Mosel. 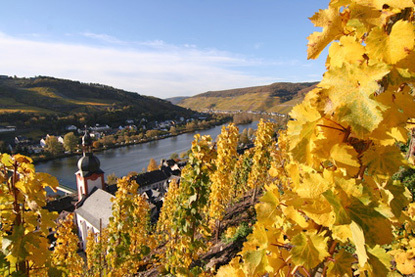 Zell is the second largest winegrowing centre in the Mosel wine region. It holds several wine festivals from June to September.